Time for some braiding basics! 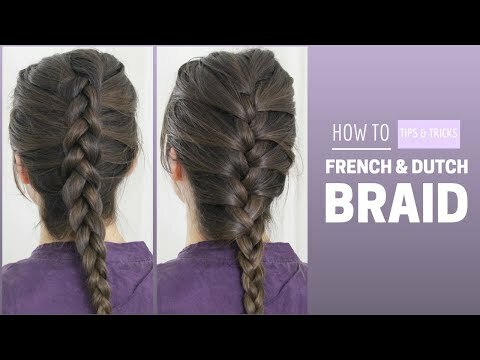 In this video I’m going to show you how to French braid and Dutch braid your own hair. I’m also sharing some valuable tips you can use to get the technique down. Enjoy watching! My name is Lucy, I’m a 25-year-old girl from the Netherlands, and I’m here to offer an alternative approach to beauty. On this channel I do mostly hair tutorials where I show you how to braid, pin and style your own hair. I recreate hairstyles from movies & tv shows and I regularly come up with my own, which I love to share with you! I do lifestyle and beauty videos as well, ranging from wearable everyday looks, makeup tips and DIY natural beauty treatments, to fashion lookbooks, vegetarian recipes and more extreme Halloween tutorials. If you enjoy history, you’ve come to the right place as well. I have a few series based on historical makeup and hairstyling that are my little passion projects.